Sellers Muldoon Benton’s Matt Muldoon. Still south of the border we find revealed in a judgement of the Victorian Supreme Court details of a civilised little scrap between Matthew Jess and Nathan Deppeler of Worrells (them again) and Matt Muldoon and Ken Sellers of Sellers Muldoon Benton, over the existence and extent of liens, both statutory and equitable. 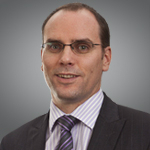 In the matter of Specialist Australian Security Group Pty Ltd (In Liquidation) (ACN 094 807 173) Justice Michael Sifris ruled on a number of claims including claims for work by Muldoon and Sellers – the former voluntary administrators (VAs) of Specialist Australian Security Group (SASG) – which they argue “related to the care, preservation and realisation of assets of SASG”. In an interlocutory process filed on November 16, 2017 Muldoon and Sellers claimed that as a consequence of that work, they had an equitable lien over SASG’s assets, inclusive of asset realisations to date and future recoveries. They also claimed, a statutory lien over funds in a joint account. The claims of Muldoon and Sellers were filed five days after Jess and Depeller – as the current liquidators of SASG – filed their own interlocutory process seeking orders that certain property and rights held by related parties Valdii Investments Pty Ltd (‘Valdii’) and Abcit Pty Ltd (in liquidation) (‘Abcit’) are held by them on trust for SASG. It is not known why Muldoon and Sellers were not appointed liquidators of SASG or how Jess and Depeller managed to wrest the job from the VAs. What is known is that Muldoon was engaged by SASG as an independent accountant in April 2015. But as the judgment outlines, the former VAs had an eye to imposing some level of entitlement to potential recoveries made by the liquidators in the future. Jess and Depeller claimed that the former VAs have no entitlement to a statutory or equitable lien and that they simply rank for payment of their costs, expenses and remuneration as priority creditors under s 556(1) of the Act. Jess and Depeller disagreed with that, arguing that the former VAs took no steps to bring funds they’d recovered into the hands of SASG and did not receive the funds as Joint Administrators of SASG or use any part of the funds which continued to be held in trust. “It was contended that as the funds were not paid to SASG during the Administration and accordingly were not realised during the course of the Administration, and in fact have always been held in the Sellers Muldoon Benton trust account, the operation of the statutory lien was not engaged,” Justice Sifris said. Be the first to comment on "Current liquidators grapple with ex-VAs over liens"